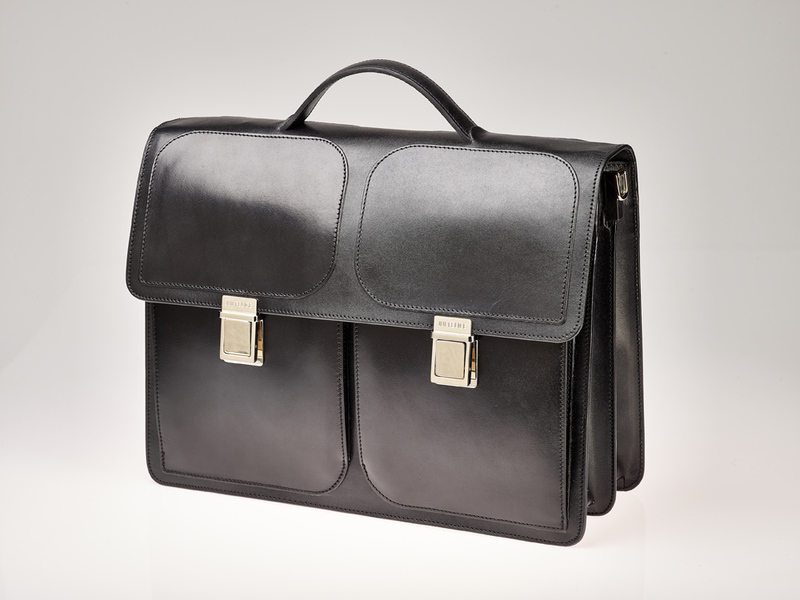 This is a briefcase that will become your loyal friend. Compact and roomy, the two wide compartments will not let you down. Designed with geometric leather shapes stitched to the front and back sides to give a smooth attractive look, this bag is definitely unisex. Two compartments with one interior zip pocket.